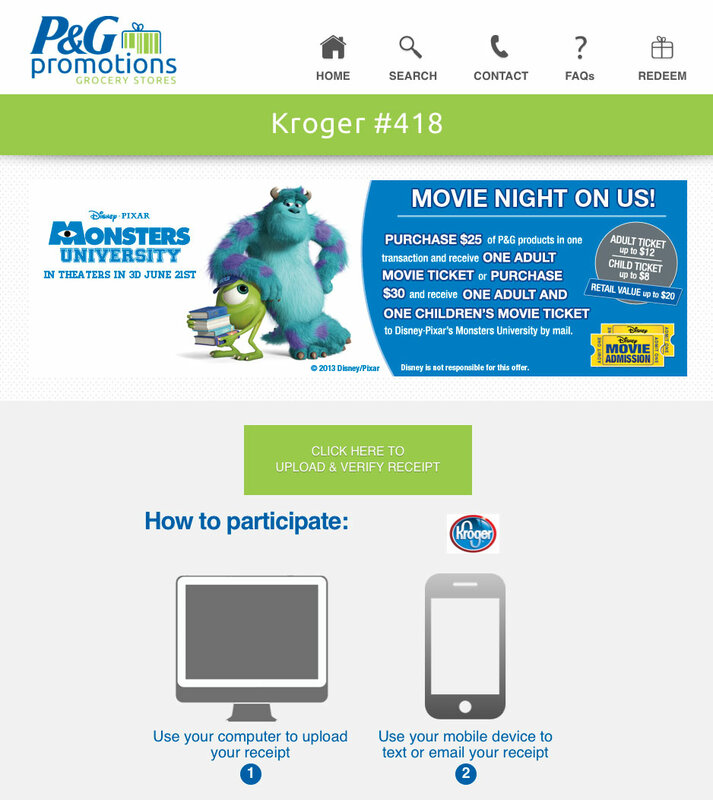 P&G Shoppers were able to get their Monsters University Movie Rewards Sooner! 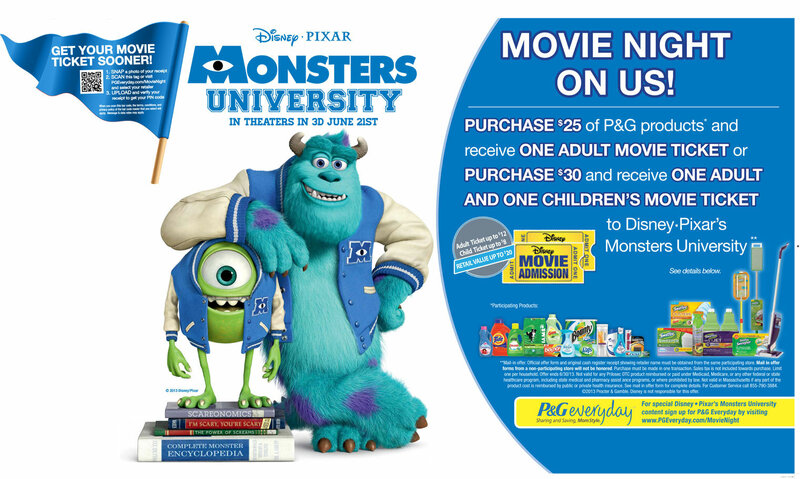 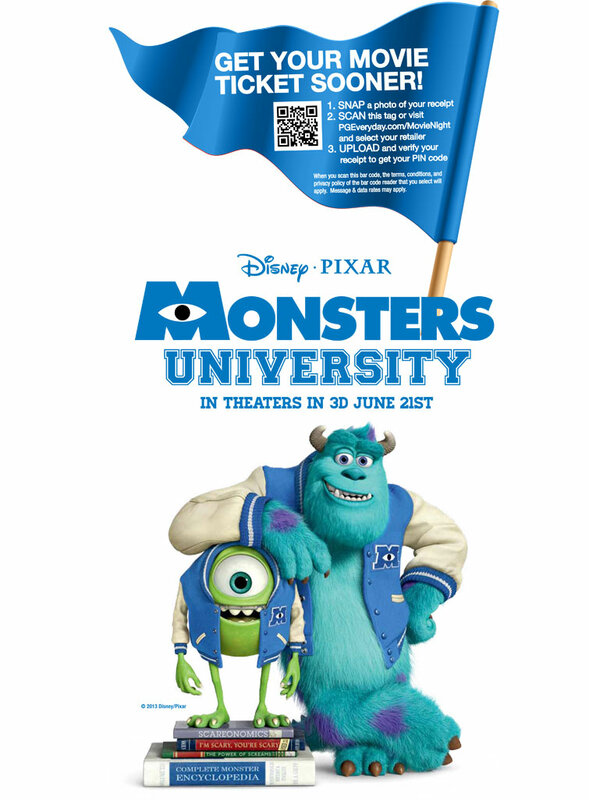 Consumers who purchased a minimum of $25 of P&G product received 1 $10 e-Monsters University eMovie Cash reward. 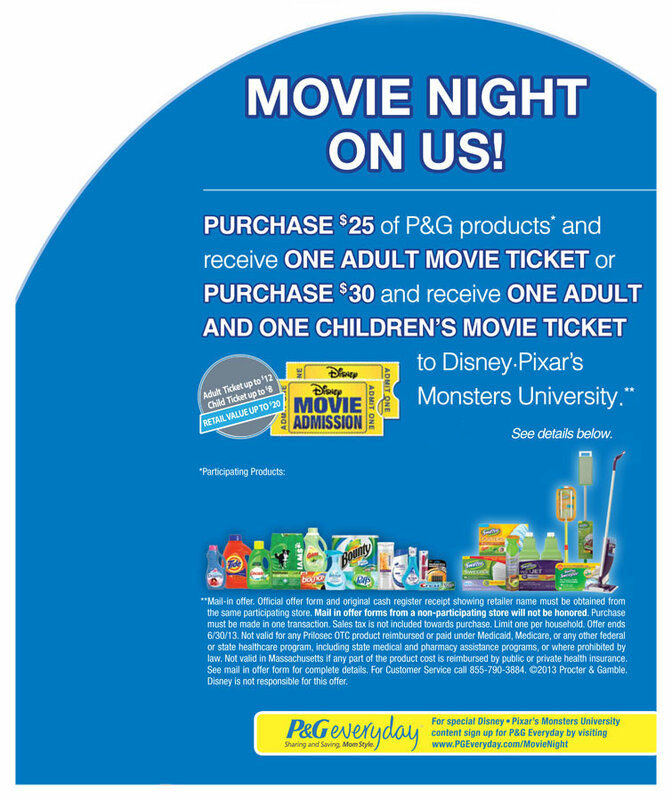 Consumers purchased $30 or more in P&G products received 2 Monsters University eMovie Cash rewards (1 $10 and 1 $8 e-Movie cash value).